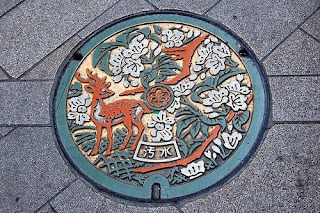 Now it's time to celebrate Japanese painted manhole covers! Let us also celebrate their fire hydrants! McGruff the Crime Dog says, DON'T DO DRUGS! Robots: "How to Serve Man (the cookbook)"
Let us now praise awesome dinosaurs! The Fireworks Song: Happy 4th of July!